Page 2 of ‘I Have Decided’. 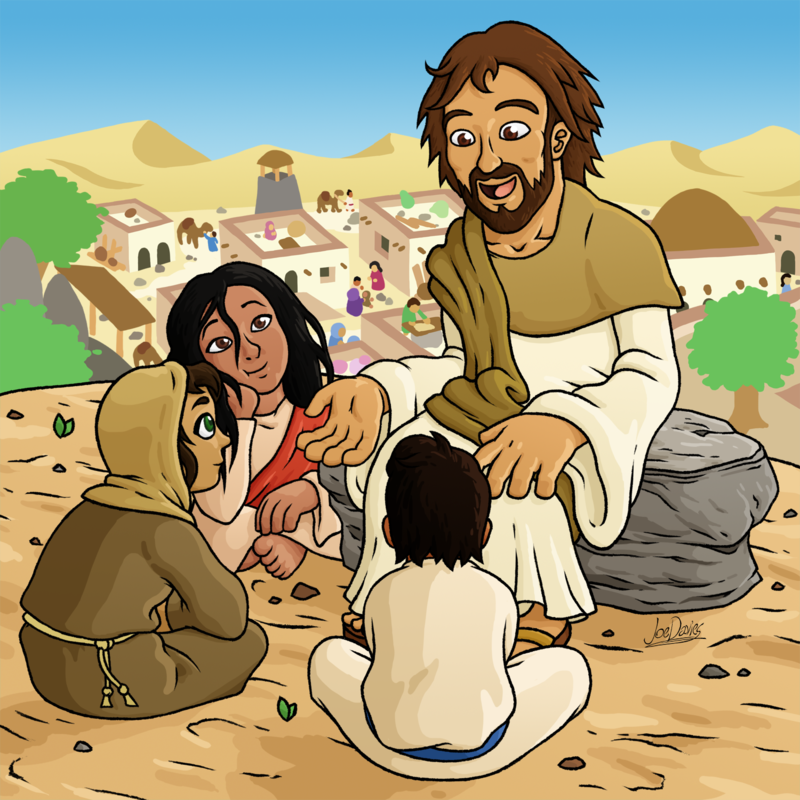 This is an image set in Nazareth where Jesus is talking with some children. Presumably about God and why he’s a cool dude. I liked capturing how intently the children are listening to Jesus’ speeches and tales, and how friendly Jesus comes across in his discussion. I also think it’s worth mentioning the style I went with for all these illustrations. I love bold lines, hence why it’s here, and applying what I like to call “shape shading”, where I draw the shades out as shapes instead of as blurry textures. And the arms look longer and the fingers more square-like and bulky because I kinda like that visual style. And the background has no lines so that the foreground is contrasted. The background was originally a simple shot of Nazareth; no people or objects, but just a bunch of houses scattered around to show a village. But both me and Katy agreed it looked rather empty. So I went and added a lot more detail by adding in more people, camels and objects to make it seem like a sprawling town. I wanted to make their actions clear without giving the people detail or outlines so that the foreground still sticks out, and I think I did pretty well.